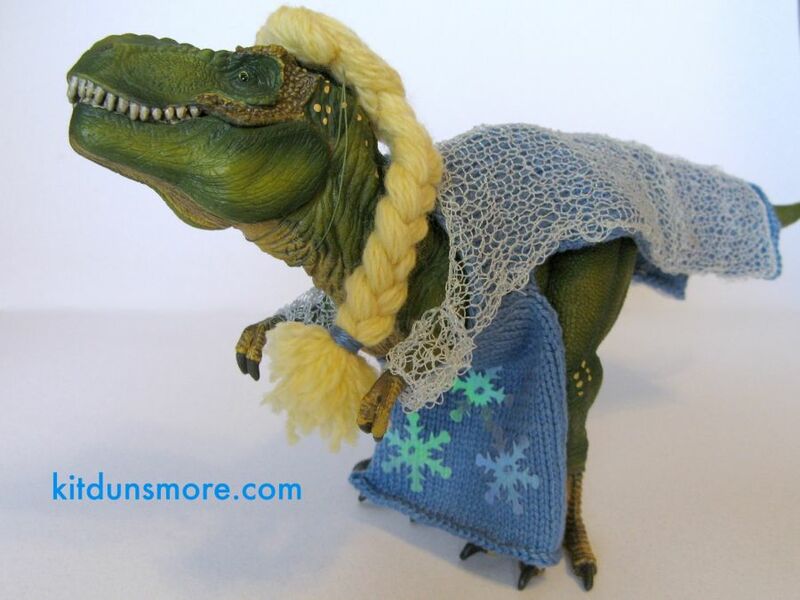 When Tiny told her Aunt Rexie she wanted to be Elsa from Frozen for Halloween, Aunt Rexie was stumped. She doesn’t know how to sew, only how to knit, and she’s still a beginner. But she promised Tiny she’d make her Halloween costume this year, so she looked at pictures of Elsa and got to work. Elsa from Frozen. 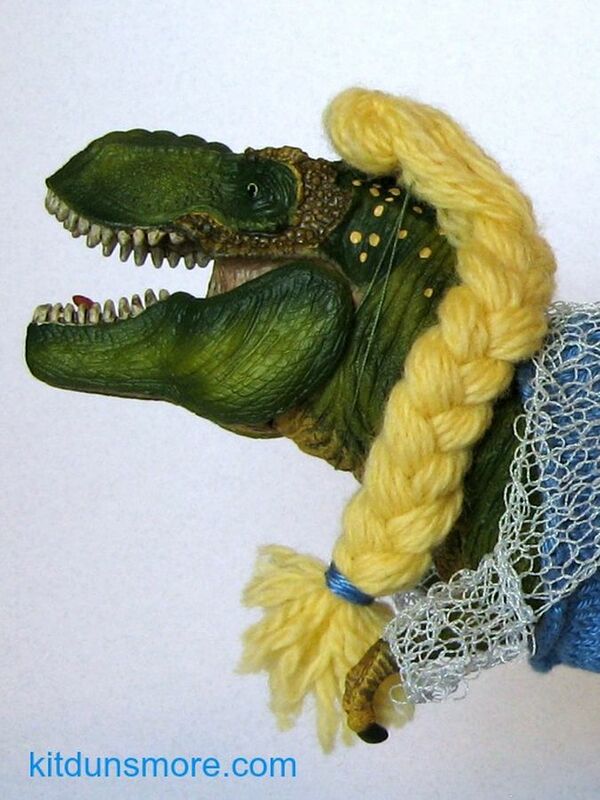 Knitting this outfit was no easy task, but Aunt Rexie went for it. The slim cut dress wouldn’t fit over T-Rex hips, so Rexie put slits up the side. She knew if she just made the skirt wide enough to wear, Tiny would look more like Cinderella than Elsa. 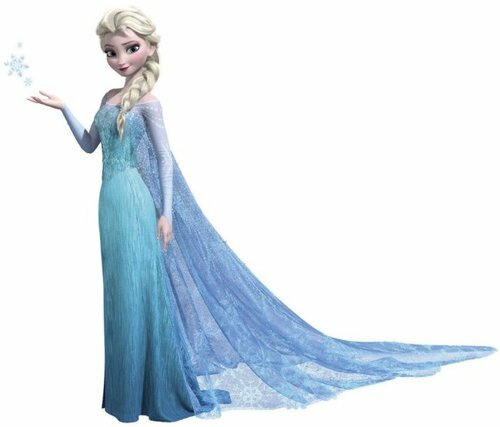 She also knit a lacy cover for the cape with sleeves, hoping it would be enough like the translucent layer Elsa wore in the movie to satisfy her niece. Tiny in her Elsa outfit. She loves it! 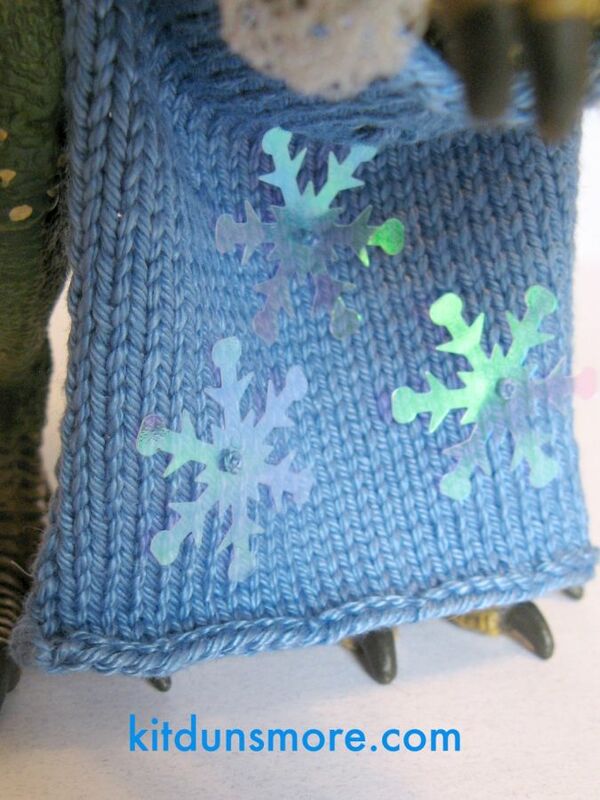 Rather than knit snowflakes into the gown, Rexie used glittery sequins. You can’t be Elsa without the braid. Rexie also had to make a wig*. What a great excuse to buy more yarn! While she found knitting the lace part challenging, she still got it done before Halloween. Best of all, Tiny loves it. She’s been wearing it around the house every day this week. 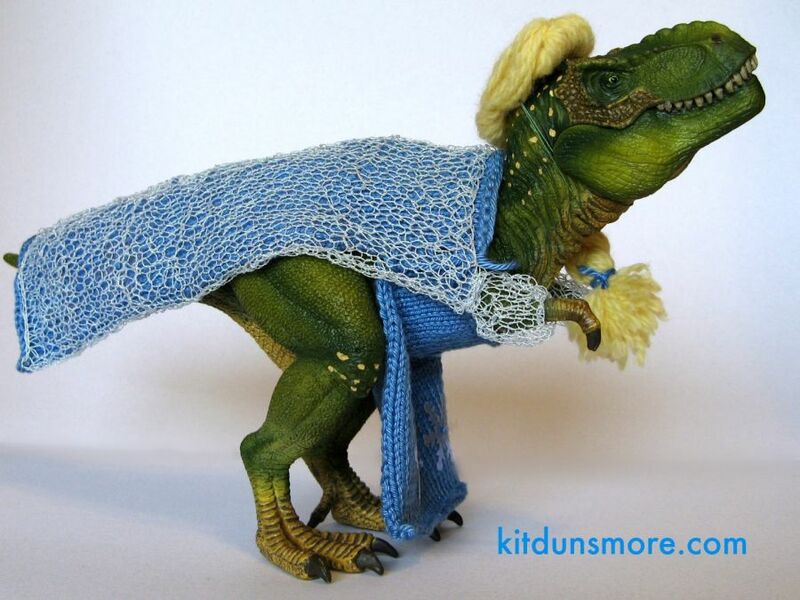 *My husband says it’s demeaning to put a wig on a dinosaur, especially a T-Rex. All I can say in my defense is: Tiny insisted. Technical details for the curious: I used size 00 needles and a smooth, slightly shiny cotton yarn to knit the dress. The cape is knit from single strands of a sparkly embroidery floss on size 3 (cape) and size 2 (sleeves) needles. I do not recommend using the sparkly floss for knitting. The stuff was stiff and slippery and not knitting friendly. I nearly gave up on it. Tiny is so lucky to have an Aunt Rexie! What a wonderful costume! I only wish the cape showed the sparkle better in the photographs. I bet it is even better in person! The cape was tricky. The thread isn’t quite as sparkly in single strands. Life would be easier if Aunt Rexie could sew. Tiny looks so happy!! This is amazing. I can’t imagine the patience knitting the cape must have taken. Who needs sewing skills?? Thanks for the kind words. Nearly gave up on the cape, but glad I didn’t.